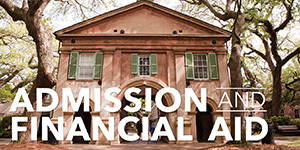 A College of Charleston education is about exceeding expectations. 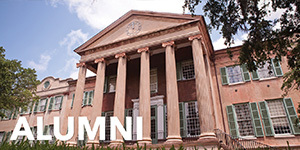 College of Charleston students come here with substantial talent and a desire to engage deeply with their studies and their world. Our strong liberal arts and sciences curriculum provides the foundation. Then, we challenge them to take it to the next level through special academic and experiential learning opportunities. First-Year Experience (FYE) consists of First-Year Seminars and Learning Communities designed to assist new students with their transition to college and provide them with the skills that will help them succeed throughout their academic careers. These courses count for credits toward graduation and many fulfill the general education requirements. FYE also gives students an opportunity to meet and study with other new students and to work closely with top-level faculty. Located at Fort Johnson on James Island across Charleston Harbor from the main campus of the College, the Grice Marine Laboratory offers the unique opportunity to collaborate and work with a large, diverse group of dedicated marine scientists at the Fort Johnson Marine Resources Center including two state (Medical University of South Carolina, SC Dept. of Natural Resources) and two federal (National Ocean Services - a division of NOAA, the National Institute of Standards and Technology) partner institutions. Leaders are not born; they're developed. That's the philosophy of the Higdon Student Leadership Center, where College of Charleston students discover and develop the leadership skills that enable professional success and effective citizenship. 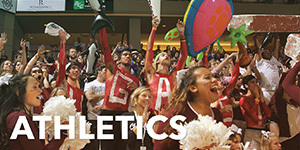 The center sponsors several popular College programs, including the pre-freshman Cougar Excursion, the nine-week Leadership Seminar, the highly selective Leadership CofC program for juniors and seniors and the Dance Marathon, the most successful student fundraising event on campus. 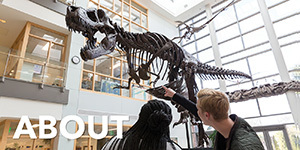 The Honors College is a small academic community designed for students who have shown an uncommon ability to think creatively and work independently. Honors College students participate in special seminar classes, live together in designated honors residence halls and have unrestricted access to the top minds and intellectual resources of the College. The SPECTRA pre-college summer program provides a challenging yet supportive introduction to the rigors of college academics for incoming minority and/or first-generation college students. Students interested in science, math, technology and engineering can also apply for SCAMP, a companion summer bridge program that eases the transition into math-heavy majors. 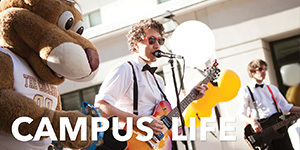 Both programs include full-credit courses and free on-campus housing. Freshman can also sign up for the Mentoring Matters program to receive one-on-one study help from returning minority students. A 21st-century college education should be a global education. We encourage each College of Charleston student to participate in one or more of our engaging international programs. Spend an unforgettable summer or a full semester in one of our faculty-led study abroad programs in dozens of countries and you'll return with a brand new perspective on your coursework, yourself and the world. 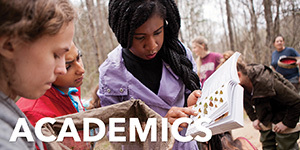 The Sustainability Literacy institute is the physical, pedagogical, virtual and institutional hub for sustainability literacy efforts at the College. The purpose of SLI is to foster positive social, economic and environmental change by way of a sustainably literate campus community. Students have a number of options for getting involved with the SLI. They can become SLI Scholars, SLI Ambassadors, or they can take sustainability-focused or sustainability-related courses. In addition, anyone on campus can apply for a SLI mini grant to support this work. College of Charleston professors are some of the most accessible, generous scholars you'll ever meet. Take advantage! The College offers four different kinds of research grants for faculty-mentored undergraduate research projects. Students from every school and every major can add a whole new dimension to their studies through original, independent research.